If you don’t know how to choose a domain name then this article from Mark Ford will give you some valuable tips to follow to choose the perfect domain name for your online home business. So what’s in a name? 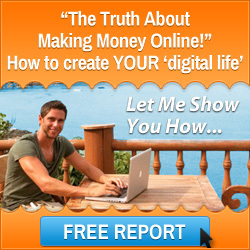 Well quite a lot really when you are deciding to start an online business from home. Your domain name is the address for your online business, your virtual real estate, and there are lots of factors to think about when picking a domain name for your website. Your domain name will be around for a long time so it is very important to come up with a good one that will stand that test of time. Ideally your domain name will be as short as possible and typifies your brand and the niche that you work within. But that is not all you need to consider and in this post I will show you how to choose a domain name that incorporates many different elements to enable you to choose the best possible name that you can stand behind. Also I will introduce you to a fantastic resource where you cannot only buy and register your domain name, you can also run your entire online business from using the many different tools and applications that it offers. More on that later. Your domain name should typify your brand. Now this can apply to the niche that your business operates in or you could build your brand around yourself. So, if it is focused on your niche then incorporate relevant keywords within the name or if it about you then choose your name, like I have done with this website. Avoid long domain names and make sure it is easy to pronounce. People have very busy lives and don’t want to type in long and complicated domains names into the search bars of their devices. Look at the ideas for domain names that you come up with and then say them out loud. If you find it easy to pronounce then the likelyhood is that other people won’t have a problem either. The dot com (.com) extension has world wide recognition and is classed as the highest level extension that you can have for a website. So if possible always try and get the dot com extension. If it is not possible then try and get the extension that reflects the country that you business is based. For example if you are based in the United Kingdom then go for the (.co.uk) extension. If you have a niche specific website then incorporate relevant keywords into your domain name. Use the Google Keyword Planner to find keywords that have a high search volume and try to make a domain name that makes sense out of them. For example I have a website that is focused on my passion of cricket. It is called MarksCricketTours.com which highlights the business models that I use to enable me to travel the world and watch the England Cricket Team. Steer away from using hyphens or numbers in your domain name as it can confuse people. There are many different keys on a keyboard and if the person uses the wrong key they will not be directed to your website and they end up walking away. Also it doesn’t look very professional and some of the search engines don’t like hyphens so they may not rank your website in their search listings. Earlier I mentioned that I would introduce you to a fantastic resource that you can use and register your domain name. 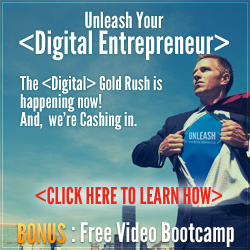 It is one that I use for many of my websites and it is a complete suite of digital marketing tools that you can use to run your online business. It is called Digital Business Lounge and it has lots of different features. 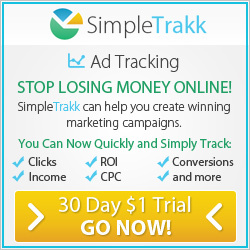 The best way for me to show you how it works is to let you watch a short video presentation. You can access this by clicking the banner below. So I have shown you how to choose a domain name and given you the resources to get your online business up and running today. It is now time for you to take action and come up with some great domain names for your online business. 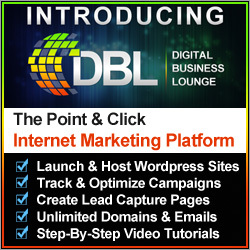 When you have the perfect domain name use Digital Business Lounge to get your website live on the internet. I wish you every success in running your home business from anywhere in the world and choosing your domain names. This entry was posted in Website Creation and tagged digital marketing tools, domain name tips, how to choose a domain name, mark ford. Bookmark the permalink.